What video format is supported by Samsung Smart TV from USB? 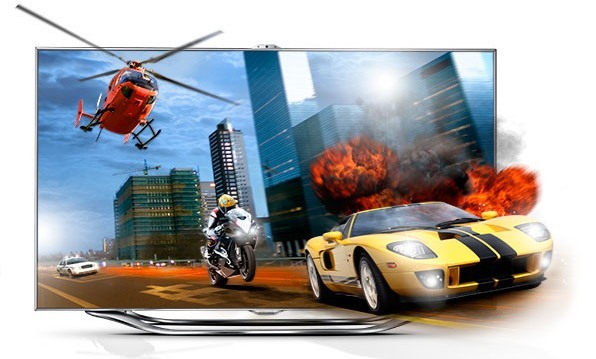 “Which format is best for Samsung Smart TV? What format is supported by Samsung LED/LCD TV?” If you want to play movie on Samsung Smart TV, you may have these question. Samsung LED, LCD, and 3D Smart TVs are very popular in the market, many customers bought Smart TV to play high-definition movies on it. Nowadays it is convenient to put movies on USB flash drive and play on Samsung Smart TV via USB port, but many users have video playback problems when they play video on Samsung Smart through USB, the main problems are caused by video formats. Samsung Smart TV supported video format is limited, from Samsung TV official website we know that Samsung Smart TV best video format is H.264/AAC MP4 format. If your Samsung TV can’t play some movies, or can’t play some movies well, you can convert videos to best compatible format for Samsung Smart TV, so that you can avoid video and audio playback problems. Here you can take a free try on this best video converter for Samsung Smart TV, it can convert any unprotected videos and DRM protected videos to 158 formats, besides it can convert DVD discs, burn video to DVD, or download online websites’ video, etc. Now you can free download Samsung Smart TV video format converter Windows Version or Mac Version. With this software, you can convert MKV, AVI, WMV, MOV, TiVo, AVCHD, MTS, M2TS, M4V to Samsung TV best format – MP4, after conversion, you can copy videos to USB flash drive for watching on Samsung LED/LCD/3D Smart TV. It is recommended to choose MP4 format for output, because MP4 format is best supported format by Samsung Smart TV. If you like, you can goto HDTV category then choose “Samsung HDTV Video (*.mp4)” as output format. Tip: You can customize the output parameters as you want, such as resolution, bitrate, etc. This Smasung Smart TV format support Blu-ray/DVD video conversion, you can rip Blu-ray and DVD to Samsung Smart TV supported video format easily. 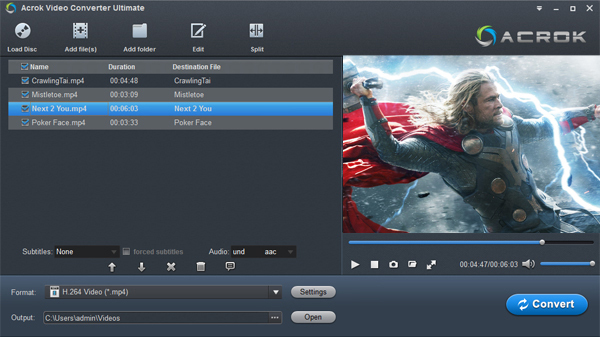 Edit feature is available in this video converter for Samsung Smart TV, you can trim, crop, add watermark, add subtitle or adjust effect to the video before converting. Click convert button to start video to Smasung Smart TV play back video format. This Samsung TV video format converter supports NVIDIA CUDA and AMD APP acceleration technology, you can get up to 10X fast speed. Please take a free try, hope this software can help you.